and becoming an oasis of peace, prayer and service. † Friar David G. Suckling, OFM Conv. Friar David G. Suckling, OFM Conv., was born in Toronto on May 3, 1932 and away on March 31, 2019. He was the son of the late Geoffrey and Margaret (nee Kirk) Suckling. Friar David was a beloved brother his Franciscan Family and father to his children: Chris (Hermie), Sara Cornfield (Alan), Donald MacDonald (Zoe), Molly Srebot (Mike), Michelle Newman (Bruce) and †Vivienne Brown. He is remembered by his grandchildren Stephanie (David), Nadia (Sam), Danielle (Adam), David, Kyle (Steph), Miles, Piers, Rowan, Berit, Connor, Tamsin, Tallis, Jason (Sharon), Tammy, Jamie, Katie, Emily, Rebecca, Tiffany (George) and Miranda (Jeff). Fr. David will be greatly missed by his grandchildren and great-great grandchildren. Friar David served in the Army Reserved from 1960-61. He and his wife †Margaret Mary Suckling, who died in 1990, raised their family on their farm. Having lived as a Secular Franciscan, the notion of a further call into the Franciscan way of life filled his heart. 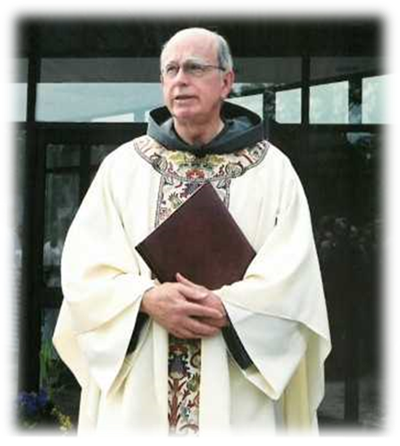 On August 13, 1995, Friar David made his Profession of Temporary Vows. And on September 20, 1998 he made his Profession of Solemn Vows as a Franciscan Friar. 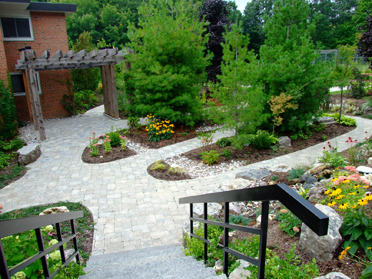 Friar David lived in the Friaries of St. Anthony and St. Bonaventure in Toronto. We remember him as a gentle minister in our parish of St. Bonaventure and beloved fatherly presence in the Catholic School of St. Bonaventure. He served as a Member of the Boards of the Messenger of St. Anthony, the Tobias House: Caring in the Spirit of St. Francis, Retired Religious of the Archdiocese of Toronto at the Houses of providence and The Friends of St. Francis: St. Clare Inn. We thank God for the gift of knowing Friar David. We will miss his warm smile and Franciscan spirit. May the Angels lead him into Paradise. Donations in Friar David’s memory will be used for the education of our young friars and the care of our senior friars. Cheques may be made out to “Franciscan Friars,” and left at the Ministry Centre, the collection basket at Mass, or mailed to Franciscan Friars, 1300 Leslie Street, Toronto, Ontario, M3C 2K9. †Friar Canice Connors, OFM Conv. Born on December 3, 1934 in Hazelton, PA, Fr. 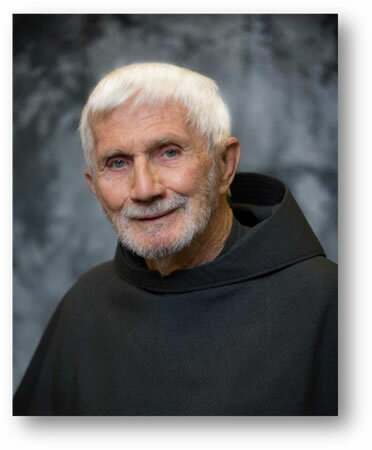 Canice entered the Franciscan Friars Conventual in 1954 and made his vows as a friar on August 15, 1955. Fr. Canice was ordained to the priesthood on May 27, 1961. After receiving an MA in philosophy from The Catholic University of America, he pursued an MA in psychology from the University of Ottawa. Fr. Canice dedicated many years to the education and formation of young people as headmaster of Canevin High School in Pittsburgh, PA. In 1971 he was awarded a PhD in psychology. Fr. Canice continued to serve God’s People as a member of the Archdiocesan Chancery of Baltimore, MD. Blending remarkable expertise with deep compassion, he served as Director of Southdown Institute in Holland Landing, Ontario and St. Luke’s Institute in Silver Spring, MD. Fr. Canice shared his years of experience as a friar-priest with seminarians when he was Rector of St. Anthony-on-Hudson Seminary in Rensselaer, NY. In 1997 Fr. Canice received the President’s Award of the National Federation of Priests Councils in acknowledgement of his service to the Gospel of Jesus. 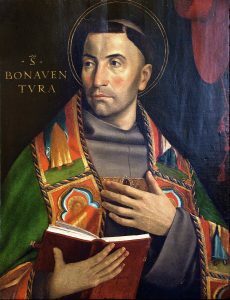 He served his brothers in the Franciscan order as Minister Provincial of The Immaculate Conception Province, leading the friars in lives of community and ministry. He served other fellow religious as a member of the Board of Directors, Vice-President and President of the Conference of Major Superiors of Men. As pastor, Fr. Canice led the Parish of Our Lady of Mercy in Winston-Salem, NC. He also was the Rector and Pastor of the Franciscan Church of the Assumption in Syracuse, NY. In 2008, our friend, Fr. Canice, came to us as a member of St. Bonaventure Friary, Toronto. We remember him as a man of great spiritual stature, preaching the Word of God with depth and wisdom. His “Theology and Tea” sessions sparked wonderful discussions as he led us in exploring our call to practical holiness and generous service. Fr. Canice was father, brother and friend to us. When his health declined, Fr. Canice moved to Mercy Nursing Facility, Lackawanna, NY, where he continued to minister the Sacraments to his fellow residents until Sister Death called him home on March 17, 2019. He was laid to rest in St. Stanislaus Cemetery, Buffalo, NY. MAY HEAVEN BE HIS AND MAY PEACE BE OURS. Donations in Fr. Canice’s memory will be used for the education of our young friars and the care of our senior friars. Cheques may be made out to “Franciscan Friars” and dropped off in the Parish Ministry Centre or the Collection Basket. the wood of the Cross of Christ and the remembrance of His suffering. 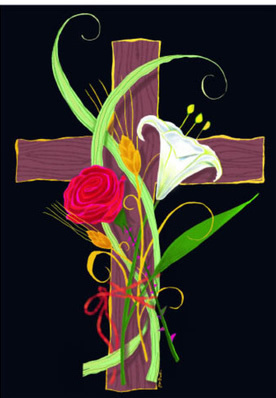 “This is the day the Lord has made; let us rejoice and be glad.” Easter is the great celebration of victory of life over death. Ours is an Easter religion. We do not deny or turn away from the evils that surround us: the wars that have killed some 100 million people in our (last) century; the poverty that grips more than half of the human race; the hunger that kills millions every year and ruins the lives of millions more; the discrimination that divides the human family into contending parties. We do not deny these miseries, but we refuse to surrender to their power because of our faith in the resurrection of Jesus Christ. Suffering will be vindicated; death will be overcome; a new life will arise: that is the Easter message of the Paschal Mystery. “Let us feast with joy in the Lord.” Just as Christ passed through death to resurrection, so too will the world pass through its suffering to the glory of a new life. This is the ‘day which the Lord has made.’ Alleluia! Take fresh hope, brothers and sisters of the whole world! With Christ our Passover everything is possible! Christ goes forward in our future! Pope John Paul II, Easter Message, 1991:8. Now published in book form, To Love and Serve: Lectionary Based Meditations, by Gerald Darring. Happy Easter! Our 40 days of preparation for the Great 3 Days are behind us. Our celebrations of the Great Three Days of Jesus’ Death and Resurrection have enlivened us. Now the 50 days of the Easter Season lie before us. We’ve only just begun. For seven full weeks we will experience, unpack and explore the Mysteries in which the Great 3 Days immersed us- the Mysteries of the new life which is ours in Jesus. If we fasted for 40 days, can we feast for 50 days? Why not? The Liturgies of the Easter season with their special sights, sounds and colors will guide us until we arrive at Pentecost to experience anew the presence of the Holy Spirit – the Gift of the Risen Christ. “Why are we here?” asked the Tsimshian chief. Invite your family, friends and neighbours as all are welcome! Tuesday, May 21st – Come and Celebrate Ministry with Maturing Adults Community! 9:45 am – 1:30 pm, gather for coffee after mass, Main Hall. We will watch the wonderful movie – Babette’s Feast followed by a delicious Luncheon. All are welcome, whether or not you have been before, bring a friend or neighbour and join this Spring Celebration! The Summer Book and Film Series will return for the third year in the months of June, July and August. Tuesday morning dates and topics will be announced later. The next T & T will be on Thursday, April 11 and 25 after the 9:00 am Mass. Come and join Friar Mark for some time to ponder and enjoy our relationship with God. The sessions are open to all parishioners and their friends. From April 21 until April 28, we Catholics celebrate every day as Easter day. That week is known as the Octave of Easter. On the eighth day, as we mark the Second Sunday of Easter, the Word of God at Mass focuses our attention on the Mercy of God. In the Gospel that day, the Risen Jesus appears to His disciples with His message of Mercy. On that day we will extend our reflection and celebration into the afternoon. On Sunday, April 28 at 3:00 pm we will gather for the Devotion of Divine Mercy. Scripture and Song, Silence and Adoration, Praise and Petition will lead us to deepen our experience and our gratitude for the Mercy of God that is ours through the Death and Resurrection of Jesus. We hope you will join us. 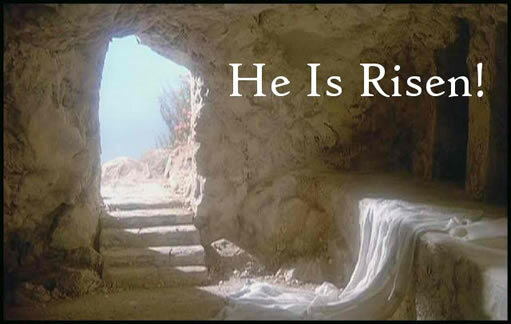 Risen Lord, we come to you today filled with awe and gratitude, humility and joy. We thank you for this gift of new life and this promise of hope. The power of this holy day drives away all evil, washes away all guilt, restores lost innocence, and brings joy to all those who mourn. May the Risen Lord fill you and your families with joy grace and peace. Mental health problems can escalate if not addressed quickly. That’s why the five Catholic Family Services agencies in the Archdiocese of Toronto now offer walk-in counselling. This initiative can often meet clients’ need without requiring longer term counselling. Clients report a clinically significant increase in confidence that they can tackle their problems. For some agencies, ShareLife is the sole funder of this important program. By supporting ShareLife, you’re helping restore hope to those in crisis. May 5th is ShareLife Sunday. Please remember to make your pledge payments. We have a number of pledges that remain outstanding. Your continued commitment to our campaign will enable us to continue funding ministry that will help in many practical ways to welcome and to serve those who come to our church to encounter Christ. Faith Formation, Ministry for Maturing Adults and Youth Ministry are the three areas of focus for our campaign funds. Your generosity is much appreciated! Donate Now Please consider making a donation to the parish. We appreciate your support! Fr. Dennis J. Mason, OFM Conv. Fr. Peter Knaapen, OFM Conv. ????? ??????? ???????? ??????? ?????????? ???????? ???? ??? ???? ??? ??????????? ????????????? ???????????? ???? ??? ???? ??? ??????? ????? ??? ?????? ???? ??? ?????????? ??????? ??????? ??????? ??????? ??????? ??????? ??????? ?????????? ??????????? ????????? ?????????? ?????? ? ????? ??????? ???????? ???????????????? ?????? ????????????? ?????? ???? ??? ??? ???????? ????? ??????? ??????? ???????????? ??????? ??????? ????????????? ??????? ?????????? ??????? ?????????? ???? ??? ???????????? ????? ??????? ????? ?, ???? ??? ???????? ???? ??? ??????????? ??????? ?????????? ??????????? ?????? ??? ????????? ??????? ?????? ??????? ??????? ???? ??????? ???????????? ????????? ??????????? ?????????? ???? ??????? ??????????? ???????? ????????? ?